Measure the volume of liquids and solids using beakers, graduated cylinders, overflow cups, and rulers. Water can be poured from one container to another and objects can be added to containers. 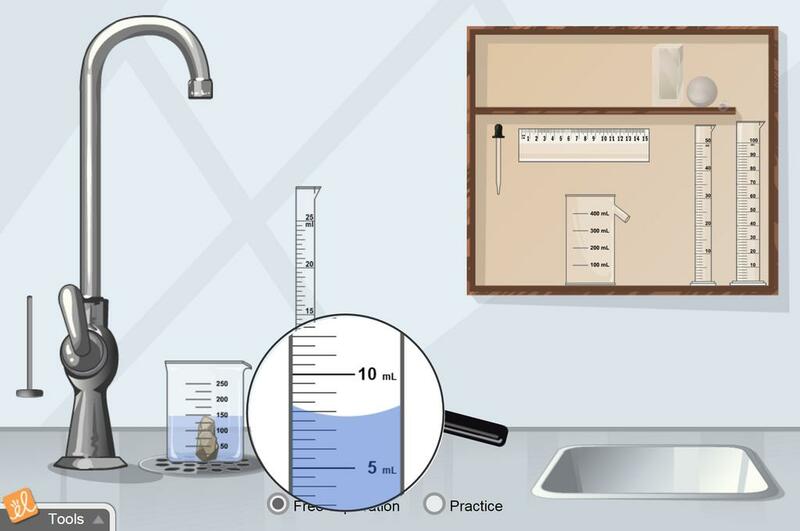 A pipette can be used to transfer small amounts of water, and a magnifier can be used to observe the meniscus in a graduated cylinder. Test your volume-measurement skills in the "Practice" mode of the Gizmo. This is such a versatile GIZMO! I love it and so do the students! Supports finding volume labs in class. I feel Activity B can be optional if your math is solid.